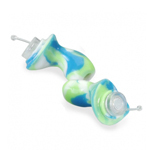 Custom earplugs are ideal for those people who must wear hearing protection on a regular basis. They also work well for those ears in which “one-size-fits all” is not appropriate. They are comfortable, durable, and easy to clean. Affinity Hearing offers a variety of custom ear protection products, including custom plugs for swimming, sleeping, and industrial noise. Custom motorcyclist earplugs designed primarily for wearing under a helmet to help eliminate wind noise. They are made of a soft vinyl material and feature a hollow canal style for greatest comfort. Digital custom hunter’s earplugs made specifically for shooting sports and high impact noise situations. Remarkably accurate and fast digital circuitry delivers amplification for situational awareness and appropriate noise attenuation when you pull the trigger. 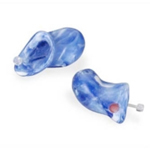 Affinity hearing offers a wide variety of choices. 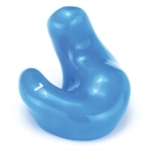 Custom musician’s earplugs provide protection, while retaining the natural quality of sound. The flat attenuation characteristics allow the wearer to hear accurately – but at a safer volume. Musician’s ear plugs come in a variety of filter settings with up to 25 dB of noise reduction.